-Corrosion-resistant 304 stainless steel moldboard with 1/2 in. cutting edge. -Enjoy 20% more ground clearance than previous EX models. -Stack high, and lift fast with a municipal-style single chain lift arm. 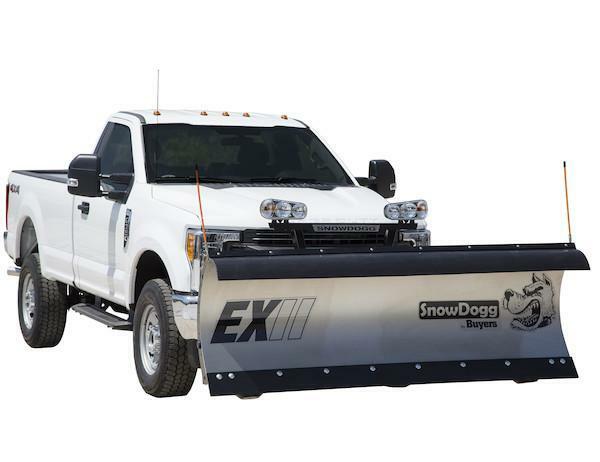 -Fleet interchangeability with all prior HD, EX, TE, CM, and XP plows. -Clear with speed and agility using the 70Âº attack angle and 1-1/2 inch angle cylinders. -Fully enclosed 2 HP power/hydraulic unit with full size SAE standard cartridge valves, 3/8 in. rubber hoses, and integral valve manifold, or opt to use your truck's central hydraulics. 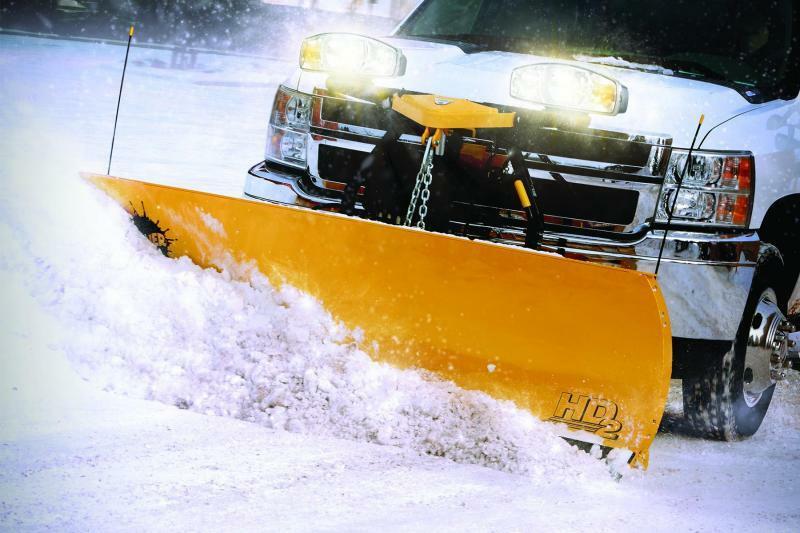 -Cut through the dark with powerful dual-beam halogen plow lights with secure double post mounts. -Ergonomic, back-lit control is easy to use with gloves on. 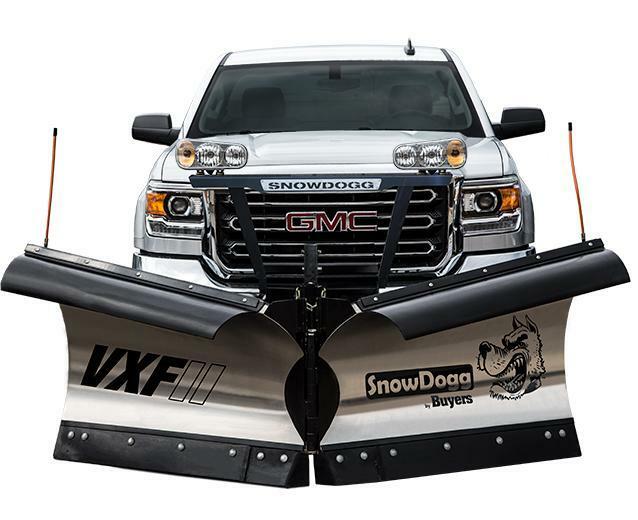 -Get the value you deserve with standard shock kit, cast shoes, snow deflector, and blade guides. 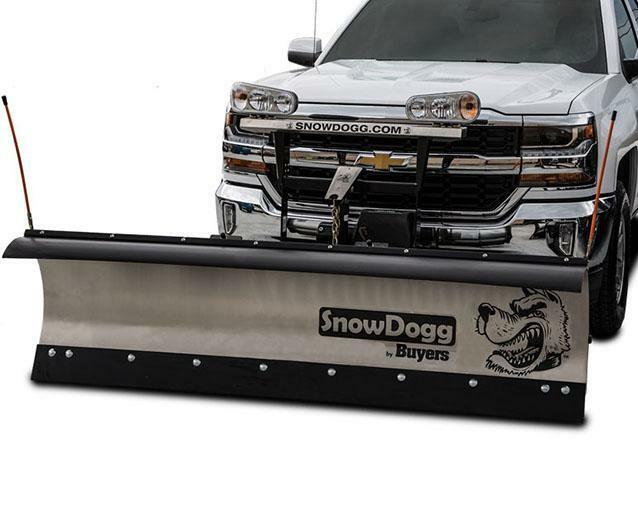 The flagship SnowDogg EX85 II gives you the plow you need, storm after storm, winter after winter. 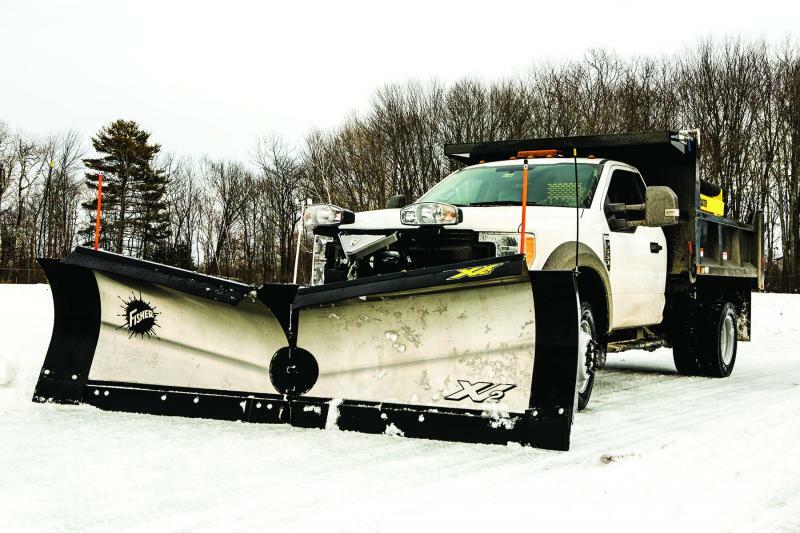 If you're searching for a reliable straight blade plow, with rugged components, a stout-yet-simple build, and countless new features, look no further. Why change what works? 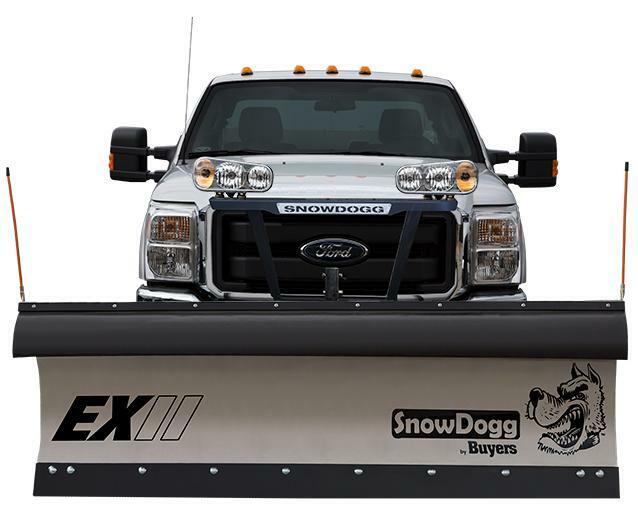 The EX85 II features a signature 304 stainless steel SnowDogg moldboard with nine 1/4 in. laser-cut steel ribs. A full-length 2 in. 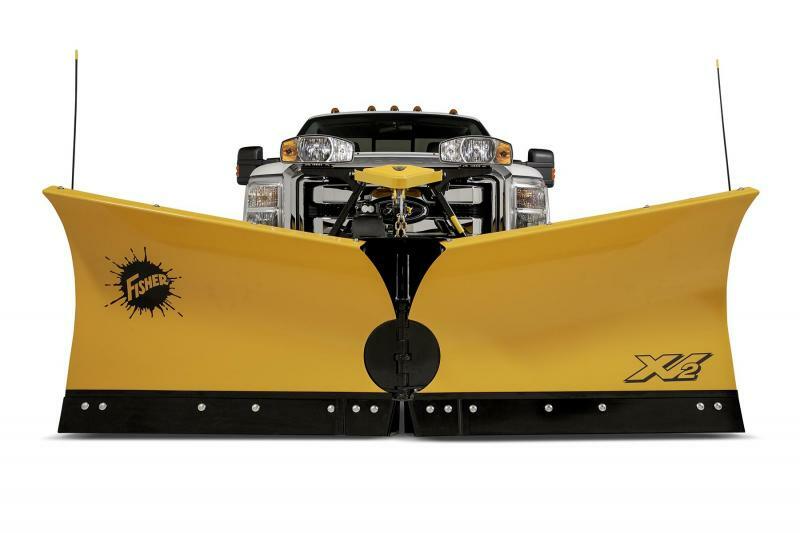 cross tube and a heavy duty bottom channel spread ensure impact is spread across the entire plow to protect vital connection points. An aggressive 70Â° attack angle along with a standard 1/2 in. cutting edge provide excellent scrapping action. All steel components are primed and powder-coated on site to ensure the highest quality. Four stress-optimized trip springs provide 40Âº of full moldboard trip action to help protect your equipment from hidden curbs or rocks. 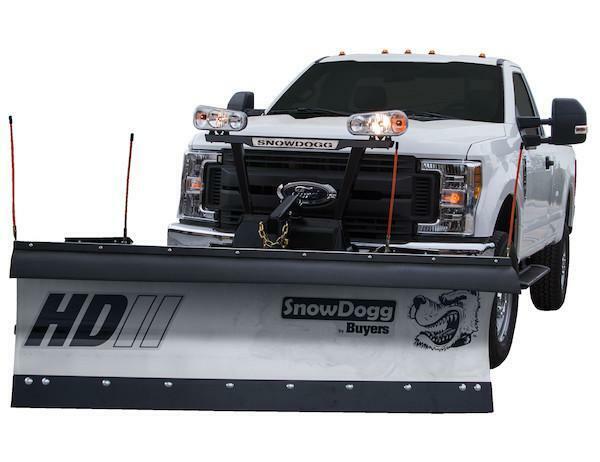 The new municipal style lift arm, chain, and cylinder allow for higher lift at a faster pace, and easy adjustments. 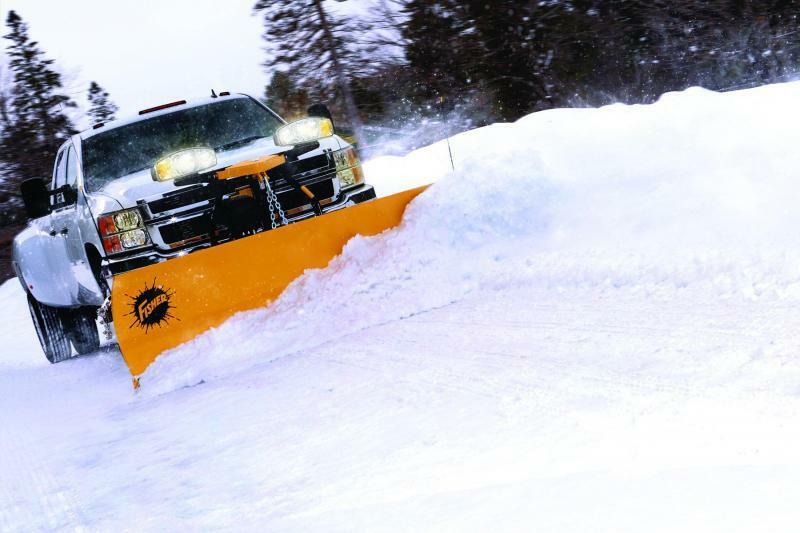 The plow's oversize angle cylinders produce powerful, fast, and agile angling. Buyers Products continues to raise the industry bar for quality and value. The fully enclosed 2HP, DC-powered hydraulic unit comes equipped with SAE standard cartridge valves and hefty 3/8 in. rubber hoses. 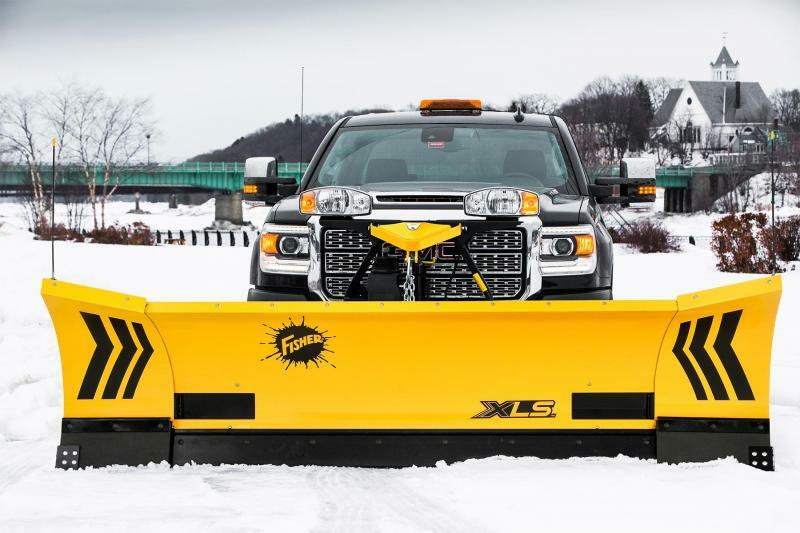 A shock kit, "gloves-on" in-cab back-lit controller, poly snow deflector, cast plow shoes, and dual-beam halogen plow lights come standard on the EX85 II. 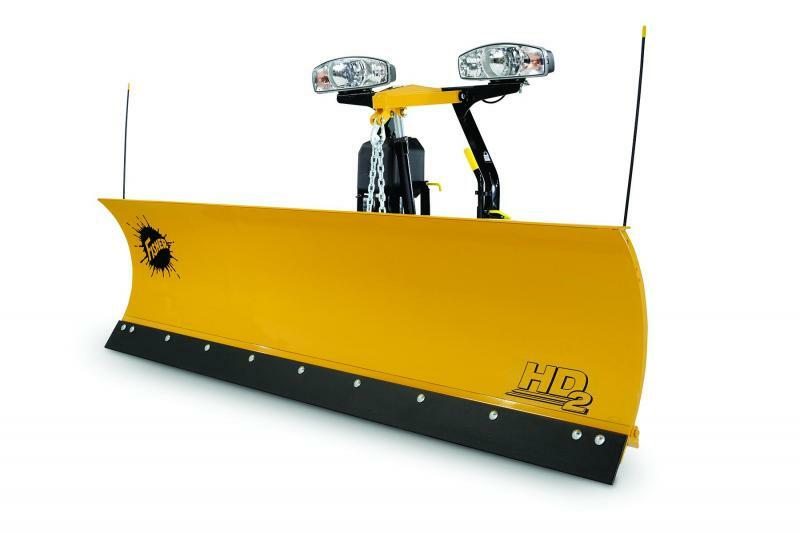 Plus, there is complete fleet interchangeability and backwards compatibility with all other HD, EX, TE, CM, and XP Series plows. 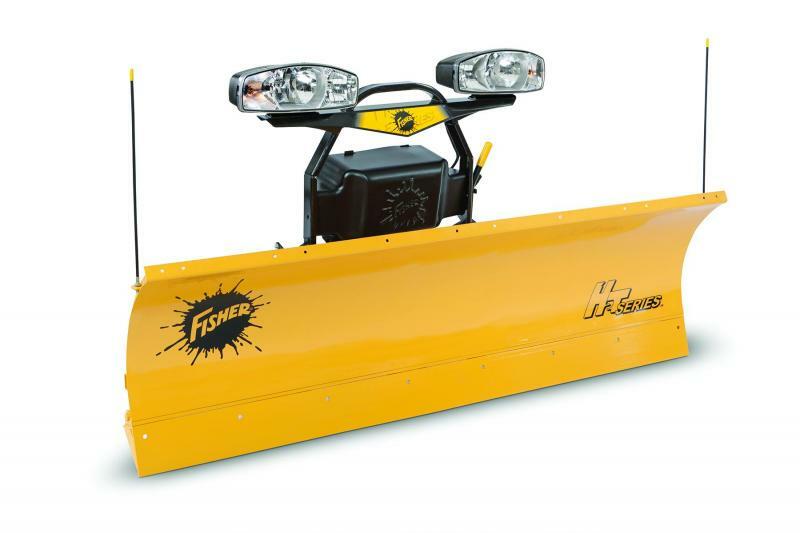 Angled Blade Width 88.3 "
Cutting Edge 1/2 x 6 "
Angle Cylinders 1 1/2 x 12 "
Lift Cylinder 2 x 6 "